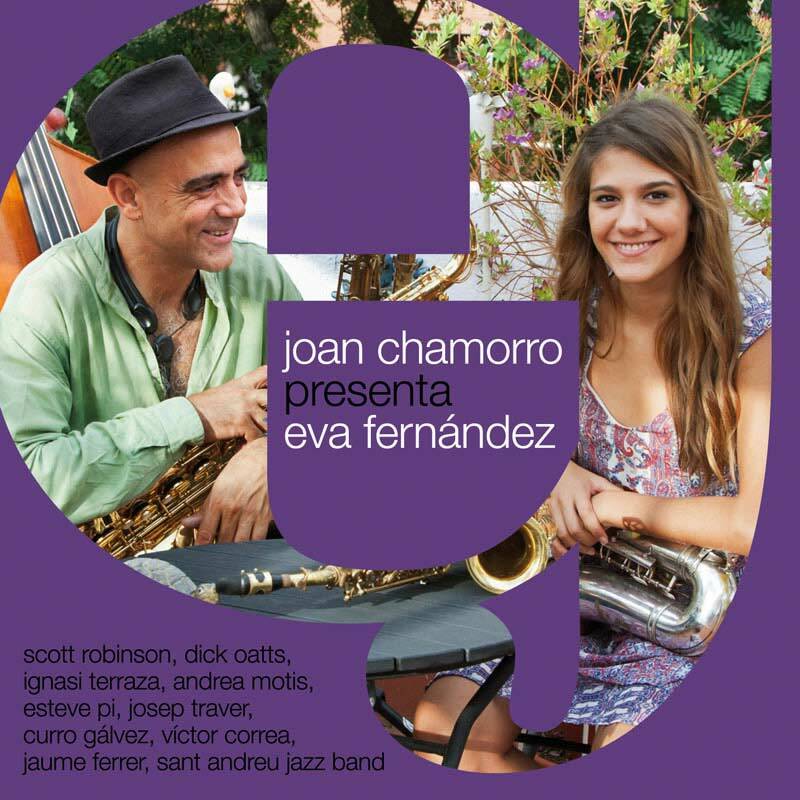 «This second CD of Joan Chamorro presenta is one more thing that makes me proud of my work. 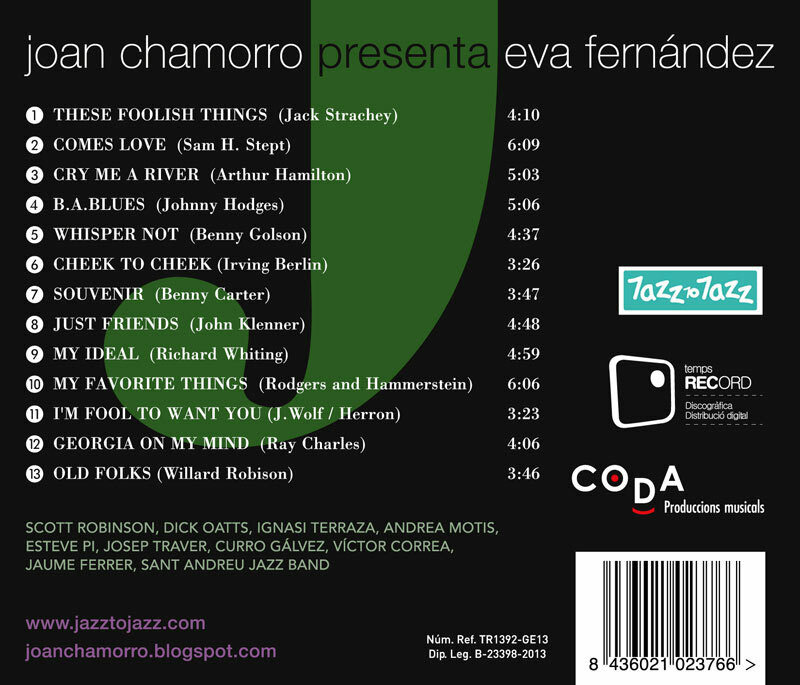 Eva Fernández is a musician since I met her, at age 7. She has always showed outstanding ability and sensibility. 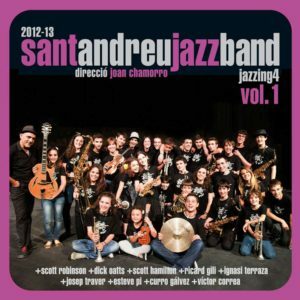 Her Petite Fleur in the Sant Andreu Jazz Band’s first CD, with her friend Andrea Motis, has moved me a lot of times and has made me feel proud of her. 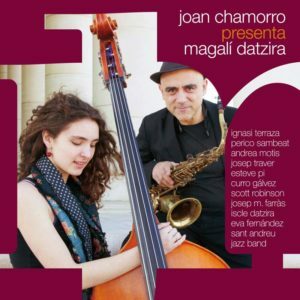 Her alto sax sound is clean and powerful, and her work as a lead of the saxophone section is brilliant. Category: CDs. 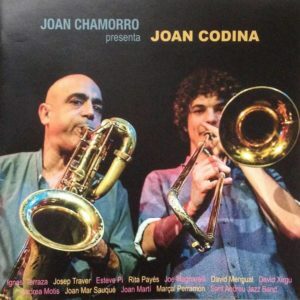 Tags: "Joan Chamorro presenta" series, Eva Fernández, Joan Chamorro. I bought this on when it cam out in 2013. Eva has such a smooth sultry voice. “Cry me a river” is very well done. She really shines an is backed up by Andrea. My biggest question is, When do we get to hear more of that magnificent voice. Will she be putting another session out? All these titles are very well done and her vocals are just really fine. I would love to see her and Andrea do a duets album. That would be fantastic.